A decentralized collectible dueling game on the Ethereum blockchain. Collect monsters. Breed them to make more. Sell and sire them for ETH. Battle them for experience. Level your player up to breed rarer and more powerful monsters. Get ERC20 in-game power ups to fuel monsters. Founded by Alain Goldman, co-founder of the largest blockchain meetup group in the world (https://www.meetup.com/topics/blockchain/), the game began development in December, 2017. It had a Beta out in September, clogging the Rinkeby test network, and its Mainnet version releases Q4, 2018. 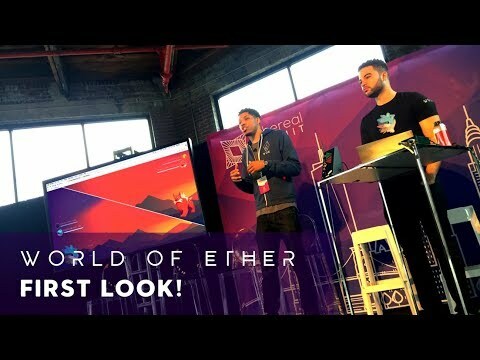 World of Ether Is Live! World of Ether began by selling presale eggs which can be hatched into Etherians when the game launches tomorrow on 11/23. Battling in World of Ether is how you reach levels where you can use stronger types of Etherians.